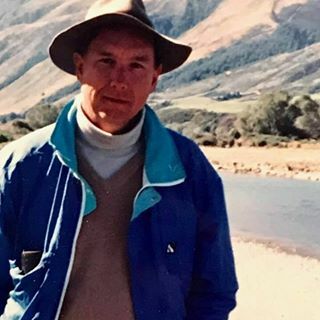 Skip Clement on a four month trip to New Zealand. In separate writings over this past summer two different magazines, one digital and the other print with digital wrote articles about our national participation in the out-of-doors activities – nature driven. One half of our 328,863,150 population (Oct. 24, 2018) – of the age that could does not participate in outdoor activities! Golf, tennis, walking the dog, lawn parties, BBQs, and even a jog or bike ride in the park are not true outdoors experiences according to the authors. What Ruggerio and Krista Karlson had in mind was the real out-of-doors is about camping and backpacking – visiting acres and acres – many square miles of trails, habitats, and terrains in week-long outings that also include canoeing or kayaking trips – you get the drift. In the business of publishing a magazine, print, digital or both, paying attention to “what’s out there” fly fishing and the environment is an all-day, everyday job. You find out things, discover trends, and learn who is worthy of comment and who is not. Especially so if in your heart you know that it’s the value of the environment that make all positive fly fishing experiences possible. Citizens who hike and camp for extended stays, fly fishing guides and offshore captains, and many park rangers have the best seats to observe our greatness – or failings. Too, they tend to care more deeply about the environment than perhaps the one or two days a year fly fisher, hiker, camper who only sees familiar home coordinates or even spends a week at a distant lodge or place where his or her leash is short range managed – a necessity and responsible thing for any lodge. It may, in some cases, also be scribes like Ted Williams, an artist like James Prosek, or an organization like Bonefish & Tarpon Trust that reaches out in pen, brush stroke, or present science that puts the defining face on troubling matters or even visions of changes for the good of the world. 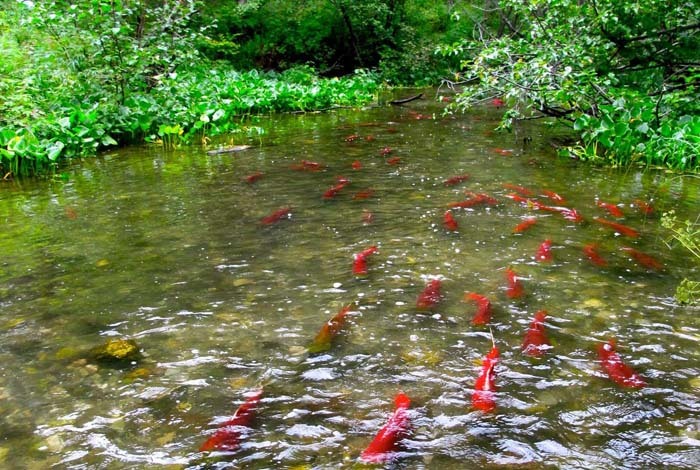 Sockeye salmon, the largest run in the world of these “reds” swimming to the final spawn in Southcentral Alaska. Photo credit Katrina Liebich – U.S. Fish and Wildlife Service. A public domain image. Today, in our mix of politicians there is no Nathaniel Reed’s, Art Marshall’s, Theodore Roosevelt’s, Aldo Leopold’s, Sen. Frank Church’s to “tell it like it is” – stand up to and openly oppose tyrants who connive to take away public lands. The current plan is scraping what has been working for decades – throw millions of out work in the outdoor industry so “administration friends” can over-extract and degrade our outdoor heritage while they and others line their pockets without fear of being held environmentally responsible for disasters. It’s blatant, and too many of us are not standing up – we are cowering to bullying.